Did you know that your annual OB-GYN exam can help you fight hair loss? Or that January is Cervical Health Awareness Month? There’s no need to dread your annual visit. As with most health problems, early detection means effective treatment! So why is it so important to visit your gynecologist every year? And how is hair loss in women tied in with your annual OB-GYN exam? What’s the first thing you think of when you picture your annual check-up? The unpleasant pelvic exam. Yes, we know it can be extremely uncomfortable, but that’s no excuse for skipping it! During a pelvic exam, your gynecologist will perform a Pap smear to rule out the presence of abnormal cells in your cervix. 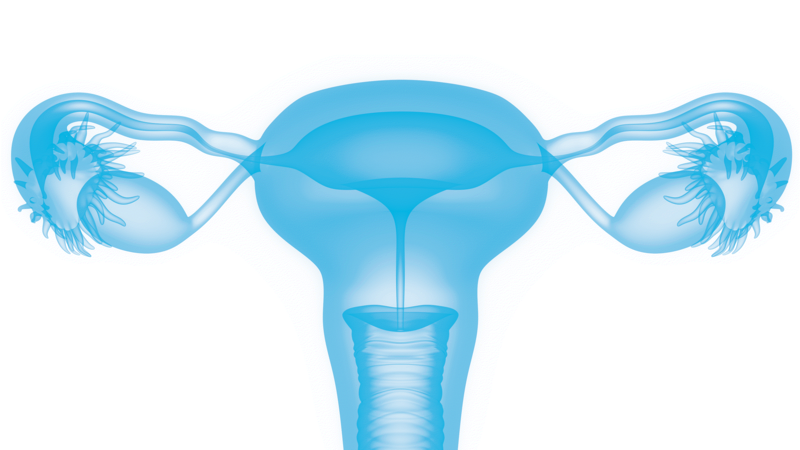 He or she will then check your uterus and ovaries internally for any signs of ovarian cancer. Getting diagnosed with cancer is scary enough, so why risk it by missing your annual visit? No one wants to deal with overwhelming anxiety and stress, which negatively impacts your overall health and can even trigger hair loss. A Pap test is important, but so is having a professional breast exam. But don’t let that scare you! Being vigilant and pro-active is your best line of defense. An annual breast exam helps detect any lumps or any abnormalities that could be signs of breast cancer. If you’re over 40, your gynecologist may recommend getting an annual mammogram. Treating cancer may require chemotherapy. In most cases, this involves hair loss – something that we all find terrifying. But here’s an interesting fact: some women undergoing chemo prevent hair loss and regrow their hair much faster with premium laser hair growth therapy devices such as the Theradome LH80 PRO. Remember to check with your oncologist first prior to beginning laser phototherapy. Cancer treatment may also include surgery. Some women can suffer from telogen effluvium (sudden hair loss) as a result. This occurs when the count of healthy hair in the growth phase suddenly decreases, which triggers an increase in the resting phase of your natural hair growth cycle. While this type of hair loss is usually temporary, you can always minimize any shedding and speed up the process of re-growing your hair with the Theradome LH80 PRO. However, if you detect the problem early, less invasive options may be available. That’s one key reason your annual OB-GYN exam can help you fight hair loss. Are you planning a pregnancy in the next year? Make sure your reproductive organs are in exemplary health by never skipping your annual. Don’t forget that oral contraception (a.k.a. – birth control) can also trigger hair loss in women. So make sure to prevent hair thinning with the Theradome laser hair growth helmet! Leverage your doctor’s expertise, your OB-GYN exam can help you fight hair loss! Tell your gynecologist if you’re experiencing hair loss or hair thinning. He or she will conduct blood tests to rule out anemia, thyroid disease, and any obstetric and gynecological conditions that could be causing extra shedding. And feel free to ask questions about weight, blood pressure, exercise and nutrition, how to perform breast self-exams and any steps to take to keep your health in spectacular shape. Haven’t scheduled your annual exam yet? Call your gynecologist. There’s no need to be nervous: you’re taking control of your health and of your future. Never forget that early detection will always be your best line of defense – even when it comes to keeping your hair thick, lustrous and healthy as can be. Only, that could be directed at small kids, to make available freedom from varied kinds of diseases. ask elders before you go shopping for your loved one.